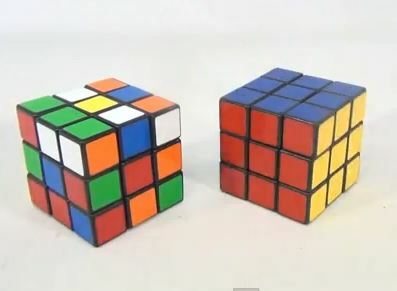 Remember the Rubik’s Cube? Did you love it or did it drive you crazy with its complexity? Today it celebrates its 40th birthday. I was a little surprised to discover it had been around quite so long. Almost as long as myself, in fact. Apparently there are 43 quintillion possible combinations to the Rubik’s Cube but it can always be solved in no more than 20 moves. As a child I knew people who could solve it in under a minute. I was not one of them. The Rubik’s Cube was beyond me, though had I known what I know about it now, I might have stuck with it. Professor Ernő Rubik invented the cube as a teaching tool in then-communist Hungary in 1974. Little did he know that its popularity would transcend the Iron Curtain and spread around the world. It was designed to combine science with play, developing skills linked to mathematics, group theory, spatial transformation, geometry and pattern recognition. 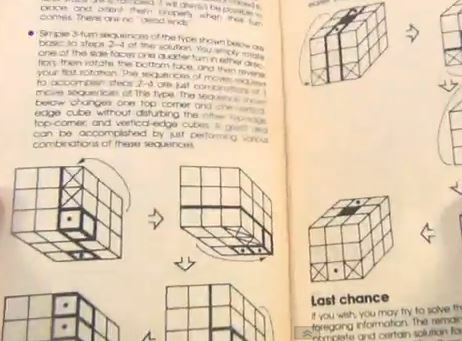 40 years on and the Rubik’s Cube is more relevant than ever. Innovation and problem-solving are crucial in a rapidly changing society where engineering skills sit alongside social sciences in policy development. Today Professor Rubik met with the European Commission President, José Manuel Barosso. The purpose of this meeting was to discuss the importance of science outreach and education in order to attract young people to mathematics and science. Finding a solution to youth unemployment is one of the biggest challenges in the EU. The mismatch of skills between traditional degrees and the modern workplace is one of the many strands of this complex issue. A number of programmes and supports have been put in place to help member states develop a workforce with these skills. EU Commission President Barroso said the Rubik’s Cube was the ultimate metaphor for bewildering complexity and triumphant intelligence, creativity and innovation. As I mentioned, I never got beyond the bewildering stage, but who knows. Maybe the time has come to give it another go. I only hope that as with everything else in 2014 Europe, the internet will be of some assistance … or does that defeat the purpose? An exhibition called “B eyond Rubik’s Cube” will open at the Liberty Science Center in Jersey City, New Jersey (US) on April 26, 2014. It will tour science centres, cultural institutions and alternative exhibit spaces around the world in the coming years. The exhibition explores the innovations and insights inspired by 40 years of playing with the popular puzzle. Aside | This entry was posted in Non-fiction and tagged 40th anniversary, EU Commision, innovation, problem solving, rubik's cube, Siobhan McNamara. Bookmark the permalink. 6 Responses to Remember the Rubik’s Cube? Well, this makes me feel old! I guess I was 10 when they came out. I could never solve it, but my dad who was very mathematically inclined solved it in about 15 minutes! I was always in awe of people who could do it! My boys and my nieces loved it when they were around 12 (in the eighties) and they could do it pretty fast. I managed – but only with the instructions! Thanks for reading. I feel determined to give it a go now! Well done to your daughter, I really must give it a go.